How do I earn LVB Points? What is the points earning structure? Internet Banking EPI Transactions 3 points/Rs. 100 Min. transaction Rs.300. Max 1500 points can be accrued each month. How do I check my LVB Points balance? What can I do with my LVB Points? How do I become a member of LVB Rewardz? 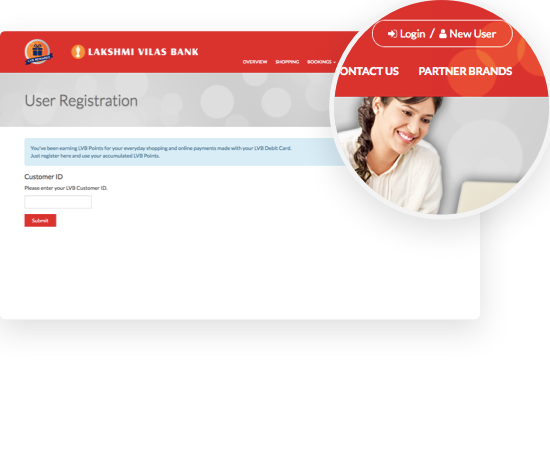 All Lakshmi Vilas Bank customers are automatically enrolled into LVB Rewardz and earn LVB Points for their day-to-day transactions. After registration use your LVB Points.